Is your child a natural nurturer? Do they love little animals, holding them with a tender enough gaze that it could be salty tears to your world hardened eye? It's a sweet concept but getting a little pet for them to take care of seems like trouble. That cat box will never be cleaned, that cute little puppy won't get the walks it needs, and that fuzzy little chick is definitely turning into a chicken somewhere along the line! This is where the adorable Hatchimals come in. These toys start in the shell and they're not coming out until they're shown plenty of love and care! This little animal needed your kiddo to coax it out of its shell will soft taps, plenty of rocking, and love taps. Your child may have helped one of these fuzzy little creatures out of its shell and the nurturing didn't stop there. Your little one taught the little bird to dance, play games, it even learned to talk. Sheesh, this kid's talents is inspiring you to rethink your stance on getting a cat! Now, your little one can dress up like their freshly hatched friend! They can pose with their little Hatchimal for some adorable photos before they hit the streets for some seriously sweet trick-or-treating. 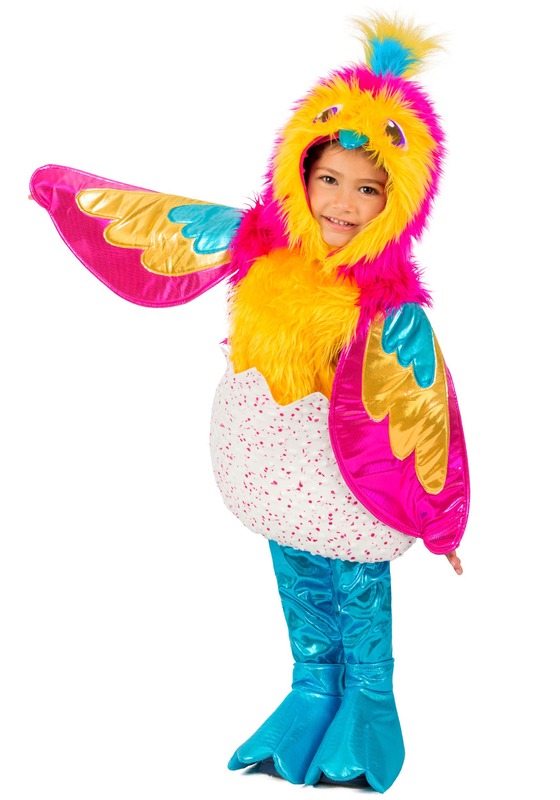 They will love flapping the colorful wings next to a fluffy hooded tunic. The hood has big, cartoon eyes with a feathery tuft on top with a turquoise beak. Your kiddo will have so much fun stomping around in shiny turquoise leggings with bird foot shoe covers. 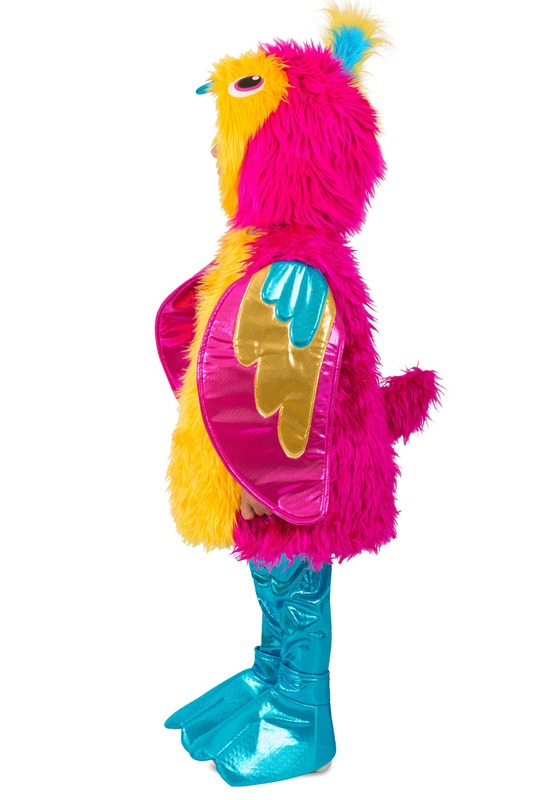 This colorful costume will really make your little one come out of their shell!